In veterinary medicine the question has always been how to diagnose a medical problem in our pets when they can’t tell us where it hurts. 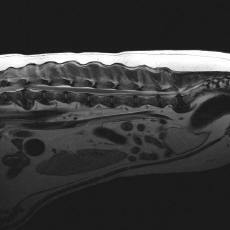 For years radiographs (x-rays) have been used as a non-invasive way to look inside a pet’s body. 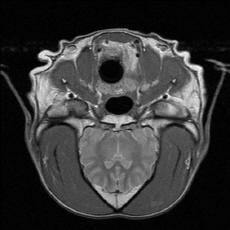 Now thanks to advances in human medicine we have multiple forms of imaging. MRI and ultrasound are two additional forms of imaging that each give us a different look inside the body with minimal to no risk to our pets. When used together radiographs, MRI and ultrasound give us a more complete look at the internal systems of the body. X-rays made up of electromagnetic radiation pass through the body and transfer an image onto a film or digital plate producing a radiographic image. Digital radiographs require fewer x-rays and produce a higher quality image than film radiographs do. 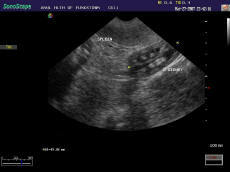 Images are produced by pulses of high frequency sound waves reflecting off the body’s organ tissue. 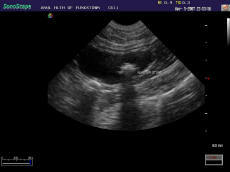 shows motion in the body such as blood flow, heart beats and muscle contractions. Helps to distinguish fluids from tissue. An MRI is a series of consecutive cross-section images of a patient’s body allowing a doctor to see both bone and soft tissue at the same time. Images are computer generated, produced by recording the signal emitted from the organ following a radio wave stimulus while the animal lies safely in a high-powered magnet. torn ligaments, infections, brain abnormalities, spine problems such as protruding disks, spinal chord infection, masses, lesions and much more. 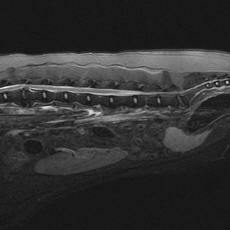 MRI is highly sensitive to even the slightest motion. 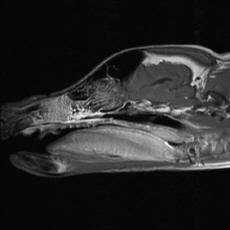 The MRI itself can be very loud and could startle your pet therefore anesthesia is needed to ensure that the pet is motionless and comfortable during the scan. Pets with implants, especially metallic implants, may need to use an alternate form of imaging due to the large magnets involved.